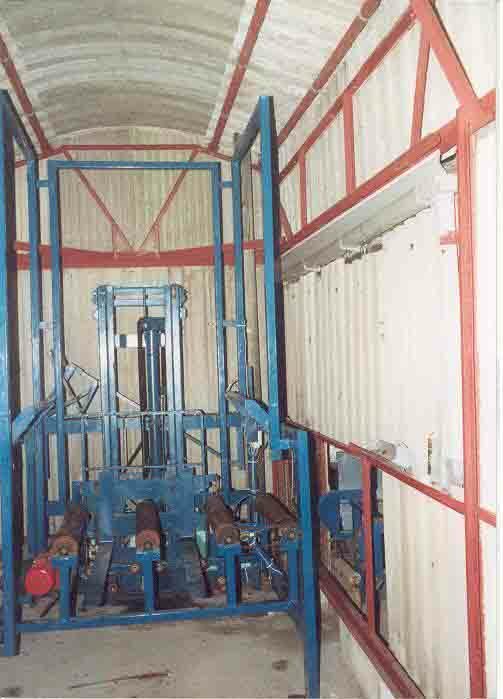 The harvesting is a dual system of inhouse picking and since the year 2000 we developed a mushroom picking line which is used to pick and pack at the same time reducing picking costs considerably. 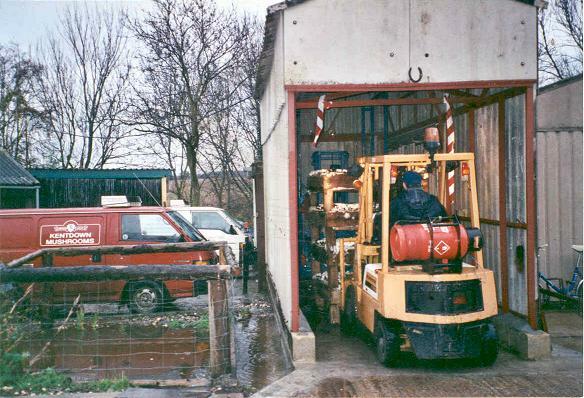 The following pictures show the beginning of the line where the trays are loaded with a forklift and are then moved through to the pickers using a series of rollers where the trays are picked. Once picked the trays carry onto to the end of the end of the line where they are stacked ready to return to the tunnels. 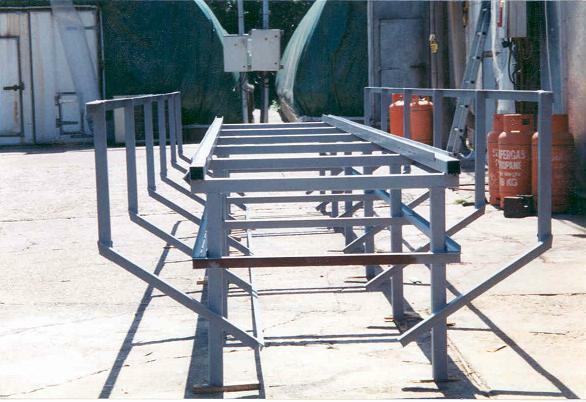 The farm manufactured the picking line with automatic waste disposal of stalks and waste. 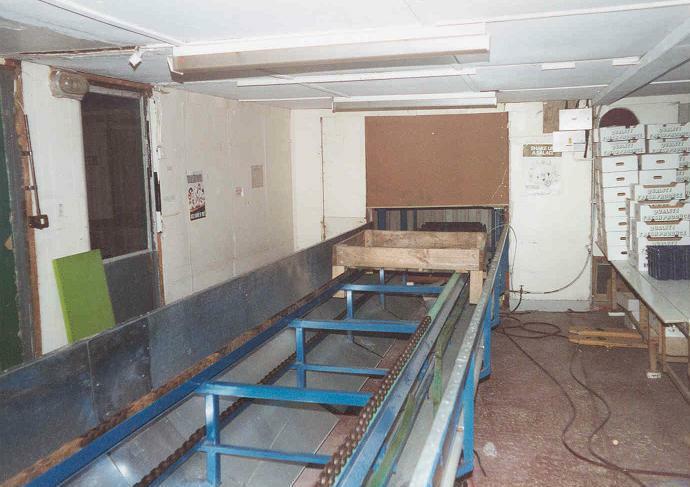 This also consisted of a conveyer system to take away the product from the picker straight to the weighing station. The product is then chilled in the High Humidity Chillier ready for dispatch.